Министерство промышленности и торговли Российской Федерации проводит набор студентов и выпускников из ведущих вузов страны для участия в летней стажерской программе, которая пройдет со 2 июля по 31 августа 2018 года. Срок подачи заявок до 1 июня 2018 года. Заявки могут подавать граждане Российской Федерации от 18 до 25 лет. Подробную информацию об этапах отбора и Молодежном кадровом резерве можно узнать на официальном сайте Министерства. Вакансия добавлена 20 мая 2018 года. Участие в координации и сопровождении деятельности по развитию рынка систем хранения электроэнергии на территории Российской Федерации (в том числе участие в подготовке рабочих встреч, экспертных сессий, подготовке сопроводительных документов). Участие в образовательной программе, включающей с себя курс специализированных лекций и ознакомительное посещение проектных компаний и наноцентров. Студент магистратуры, проходящий обучение по направлениям — экономика/финансы, экономика в электроэнергетике, инновации в электроэнергетике. Обладаете базовыми знаниями в области финансового анализа, моделирования и оценки бизнеса. Имеете возможность уделять программе стажировки не менее 20 часов в неделю. 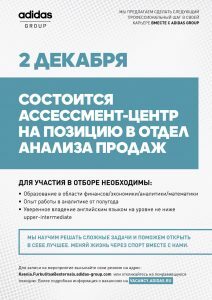 Владеете английским языком на уровне не ниже intermediate. Опытный пользователь Excel/Power point, Visio. Интересуетесь направлением Private equity, взаимодействие с органами власти (GR), развитие наноиндустрии. Сроки проведения стажировки — с 01 марта 2018 по 31 августа 2018. Вакансия добавлена 20 февраля 2018. Администрация Губернатора Московской области приглашает студентов выпускных курсов магистратуры и аспирантов пройти стажировку. Вакансия добавлена 3 февраля 2018. Срочный контракт на один год с возможностью продления. The position is located in the ILO Decent Work Technical Support Team and Country Office for Eastern Europe and Central Asia (DWT/CO-Moscow). DWT/CO-Moscow provides overall technical support for the preparation, implementation, monitoring and evaluation of Decent Work Agenda in Azerbaijan, Armenia, Belarus, Georgia, Kazakhstan, Kyrgyzstan, Russian Federation, Tajikistan, Turkmenistan and Uzbekistan. In the recent years, the CIS region has been experiencing high levels of youth unemployment. Economic recovery from the crisis has been slow in the region, and the uncertain outlook in the global economy raises concerns about the ability of the region to address the crisis consequences and create sufficient quality employment opportunities for young people entering the labour market. In response to the challenges, the ILO is launching a project Partnerships for Youth Employment in the Commonwealth of Independent States phase II (2018-2022) with the financial support of the Russian oil company LUKOIL. It aims at improving the effectiveness of youth employment policies and programmes in ten above mentioned countries of Eastern Europe and Central Asia to support creation of decent jobs for young people within a comprehensive employment policy framework. The project builds on the successful outcomes of a previous public-private partnership with LUKOIL company during 2013-2017. The project implementation strategy will rely on strengthening the capacity of policy-makers and practitioners to design, implement, evaluate and update evidence-based and gender sensitive policies, programmes and approaches to youth employment, and on delivering and disseminating results through existing partnerships and strategic alliances. The capacity building will ensure that the work done during the project life becomes sustainable, and the involvement of public institutions, social partners and other actors will help create synergies and replicate effective delivery models across the national contexts. Within the policy and procedural requirements established by the ILO, the Project Junior Technical Officer — Youth Employment will assist the activities of the abovementioned project by providing technical support to the project and contribute to the expected outcomes. The incumbent will promote ILO policies in the project related technical areas. The Project Junior Technical Officer — Youth Employment will be supervised by the Senior Employment Specialist of DWT/CO-Moscow who backstops implementation of the project. The Director of DWT/CO-Moscow is the Responsible Chief of the incumbent. 1. Support the Project Manager in coordination and development of project activities, in accordance with the project document, in conformity with ILO policies and project strategies, and in accordance with ILO programming guidelines and country-action programs, and administrative and financial procedures. 2. Contribute to the follow up on the program, planning and budget and related internal and external activities, in accordance with the project document and an overall project implementation plan. 3. Collaborate with the project staff and national partners in the design, implementation, monitoring and evaluation of activities, in coordination with the ILO Office and HQ. This will be achieved by providing administrative and technical backstopping, for the Project as required. 4. In coordination with the Communications Officer, provide communication support of the project activities. 5. Establish and/or maintain a database for monitoring and evaluation aimed at tracking progress against Key Performance Indicators within the incumbent’s area of work. 6. Liaise with external network of constituents, scholars and practitioners contributing to the project outcomes, as well as the internal network of cooperating ILO technical departments and units. 7. Liaise on operational matters related to the project with different stakeholders from governments, workers’ and employers’ organizations, UN and non-governmental organizations. 8. Provide inputs for budget preparation and other related matters, including the process of preparing relevant documentation for responsible ILO entities. 9. Participate in training seminars and workshops as resource person. Contribute to staff training activities. 10. Collaborate closely with relevant ILO programmes and projects, ILO units and responsible ILO offices and DWT as appropriate, to obtain technical inputs and share best practices and lessons learned. 11. Participate in the missions related to the project implementation. Вакансия добавлена 19 декабря 2017. Within the policy and procedural requirements established by the ILO, the Project Junior Technical Officer — Research will assist the activities of the abovementioned project by providing technical support to the project and contribute to the expected outcomes. The incumbent will promote ILO policies in the project related technical areas. The Project Junior Technical Officer — Research will be supervised by the Senior Employment Specialist of DWT/CO-Moscow who backstops implementation of the project. 1. Contribute to the research component of the project in accordance with the project document and agreed thematic activities, by collecting and preparing overviews and summaries of research papers, reports and publications relevant for the project. 2. Prepare presentations, briefs and notes on selected, defined topics within the project’s technical area. 3. Follow global, regional and national youth employment trends, provide necessary inputs to the Office’s reports and other publications. 4. Participate in the presentation of the relevant results of the project to the ILO constituents and other partners, as well as internally. 5. Liaise with Employment and Research departments of the ILO HQ and external research community on the matters concerning the incumbents’ duties. 6. Establish and/or maintain a database for monitoring and evaluation aimed at tracking progress against Key Performance Indicators within the incumbent’s area of work. 8. Participate in training seminars and workshops as resource person. Contribute to staff training and strengthening of project teams in the countries. 9. Collaborate closely with relevant ILO programmes and projects, ILO units and responsible ILO offices and DWT as appropriate, to obtain technical inputs and share best practices and lessons learned. 10. Provide inputs and follow-up to project budget. Оклад 13 тыс. рублей плюс премии (зарплата около 35 тыс. рублей). За более подробной информацией обращайтесь к Марине Ипатовой. Профиль деятельности компании HR-консалтинг и автоматизация HR процессов. В связи с запуском нового проекта у нас открыт конкурс на вакансию HR-консультант (карьерное консультирование, оргразвитие). Приветствуются целеустремленные, амбициозные, с аналитическим складом ума профессионалы. Работа с большим объемом информации ( в Excel). — Поиск, обработка и анализ информации, необходимой для принятия решения руководителем. — Социальный пакет (медицинская страховка, питание, ежеквартальные и ежегодные премии). Работа на ст. метро Курская. График и часы работы по согласования, учитываются ваши желания! • Создание аналитических приложений для решения бизнес-задач, в том числе с применением методов математического анализа. В качестве платформы используется преимущественно Qlik Sense / Qlik View, в перспективе – SAP, Tableau. • Интеграция с источниками данных (внутренними системами клиентов, интернет-ресурсами). • Поддержка и обучение пользователей. Более подробно — в приложенном описании. Компания «Хёндэ Мотор СНГ» объявляет конкурс для студентов российских вузов — «Стратегический клуб Хёндэ». Конкурс является долгосрочным проектом для Компании и проводится уже три года подряд. За это время в нем приняли участие несколько тысяч человек из множества российских городов, от Хабаровска до Сочи. Цель данного проекта заключается в том, чтобы дать студентам возможность получить опыт в разработке клиентоориентированной стратегии автомобильного бренда. Конкурс состоит из нескольких этапов. На первом этапе необходимо ответить на вопросы, посвященные автомобильной отрасли и бренду Hyundai. Участники, завершившие первый этап, получат специальное конкурсное задание, посвященное анализу стратегии развития бренда Хёндэ на российском рынке. Вы можете задать свои вопросы о Конкурсе, направив письмо на электронную почту strategyclub@hyundai.ru. Финалисты конкурса примут участие в зимней стажировке в одном из дилерских центров Хёндэ или в представительстве Хёндэ в Москве. Гибкий график на время стажировки позволит студентам совмещать работу и учебу. Подробную информацию можно найти на сайте конкурса: strategyclub.hyundai.ru. Телеканал РЕН ТВ приглашает стажеров в Дирекцию Информационного Вещания по специальности: корреспондент. Взаимодействие с пресс-службами и ньюсмейкерами. В случае успешного прохождения стажировки вы можете претендовать на стартовую позицию в штате компании. Министерство промышленности и торговли Российской Федерации проводит набор студентов и выпускников из ведущих вузов страны для участия в зимней стажерской программе, которая пройдет с 1 февраля по 31 марта 2017 года. В результате конкурсного отбора будет сформирована группа из не более чем 35 человек. В целях знакомства заинтересованных студентов со спецификой работы Министерства промышленности и торговли Российской Федерации, программой и условиях стажировки мы проводим открытую презентацию программы 14 ноября в 17:00 в здании Минпромторга России. Для регистрации участников на презентацию стажерской программы необходимо отправить паспортные данные на электронный адрес career@minprom.gov.ru. По всем вопросам можно обратиться к ведущему специалисту-эксперту отдела формирования и профессиональной подготовки кадрового состава Административного департамента Акоповой Кристине Иосифовне 8(495)632-86-06. Группе компаний «Формика» требуется стажер в PR-отдел. Нужен пробивной человек, желающий приобрести уникальный опыт работы на рынке ЭКСПО. Международные выставки, бизнес-миссии, B2B сегмент. Работа в офисе в районе метро Улица 1905 года. Коллектив молодой. Самому взрослому — 42 года. В основной круг задач входит работа по формированию лояльного пула журналистов, креатив на тему продвижения крупных выставок, актуализации базы СМИ, написание пресс-релизов и новостей для соцсетей. ВНИМАНИЕ! К сожалению, в круг обязанностей стажера PR-отдела НЕ входит приготовление кофе сотрудникам отдела, заказ обедов и уборка территории. По итогам стажировки выдаем официальное письмо об ее прохождении и оценку! Лучшие руки трудоустроим! Молодой портал о футболе и футбольном судействе Foot.Life предлагает студентам последних курсов МГУ оплачиваемую стажировку. Стажировка оплачивается после первого месяца работ.